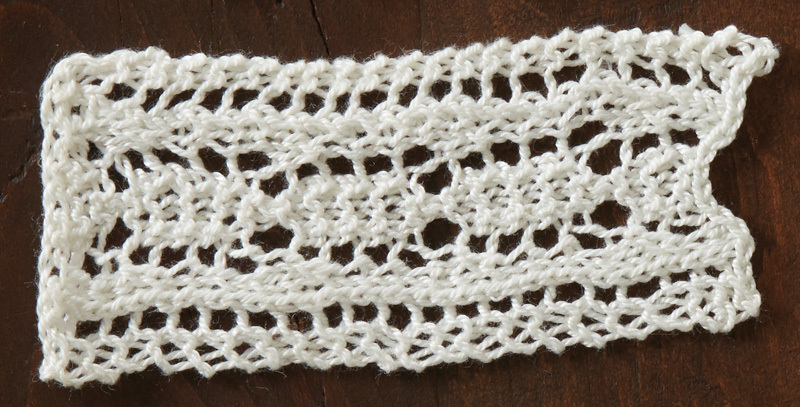 Frances translated the original pattern for the “Lace No. 12” sample, wrote her instructions with contemporary notations, and retained the name that Mary Elizabeth used. Frances used Nazli Gelin Garden, 100% cotton thread, size 10, in #700-02 Cream (www.universalyarn.com) and size 1 (2.25 mm) needles to make the sample. 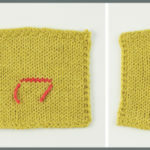 If you’re knitting along, please send a photo of your samples to piecework@interweave.com. We’d love to see them! Frances H. Rautenbach re-creation of Mary Elizabeth Greenwall Edie’s “Lace No. 12” knitted-lace sample. CO 15 sts. K across. Row 1: K2, [yo, k2tog, k1] 2 times, sl 1, k1, psso, yo, k1, k2tog, yo, k2. Row 2 and Every Even Row: [K3, p3] 2 times, k3. Row 3: K2, [yo, k2tog, k1] 2 times, sl 1, k1, psso, yo, k1, k2tog, yo, k2. Row 5: K2, yo, k2tog, k2, yo, k3tog, yo, k2, k2tog, yo, k2. Row 7: K2, yo, [k2tog] 2 times, yo, k3, yo, [k2tog] 2 times, yo, k2. Row 9: K2, [yo, k2tog, k1] 2 times, sl 1, k1, psso, yo, k1, k2tog, yo, k2. 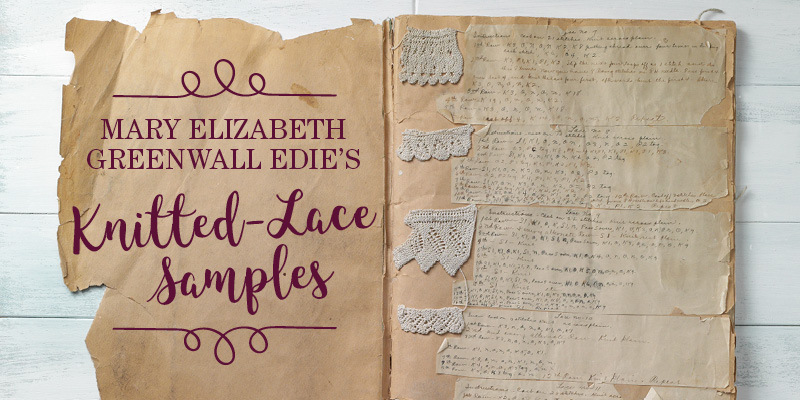 Uncover more about this magnificent textile in PieceWork’s annual lace issues!